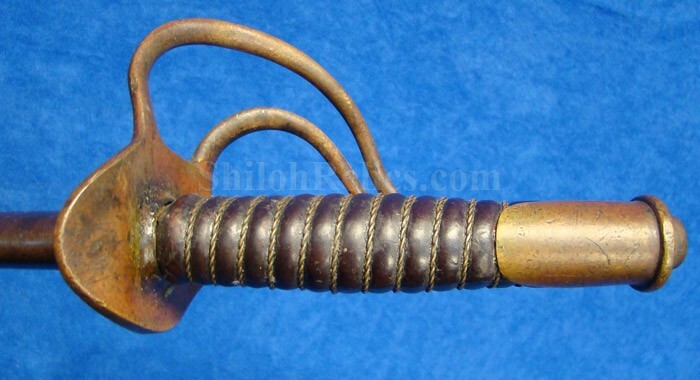 This is a nice solid example of an original Civil War cavalry saber. 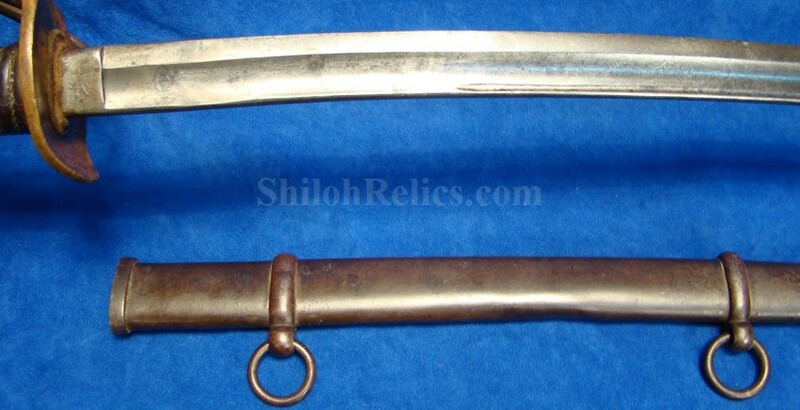 This is the model 1860 cavalry saber referred to by collectors as the light cavalry because of the lighter weight and more streamlined design compared to the earlier model 1840 cavalry saber. 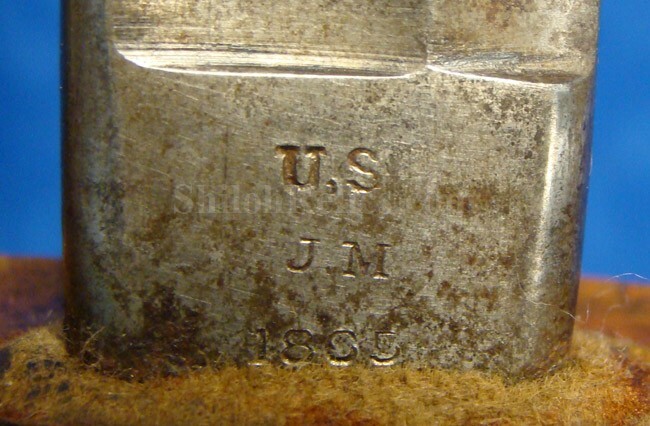 On the base of the front of the blade are the clear stampings of the production date of "1865” along with the "US” mark and the "J.M.” inspector initials. 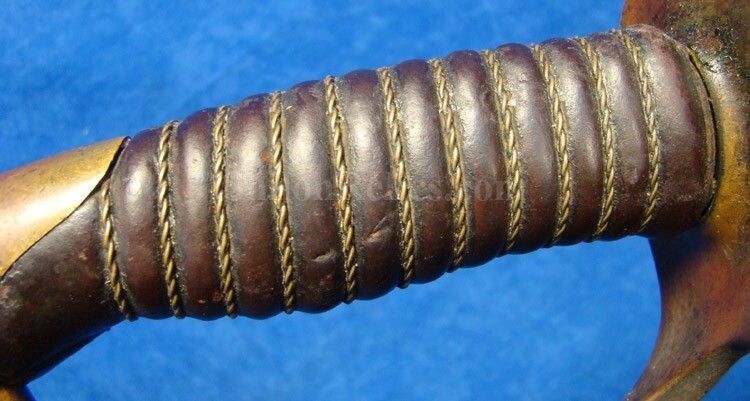 These are the initials of John Maggs who approved the sword for military use by the Governemnt. 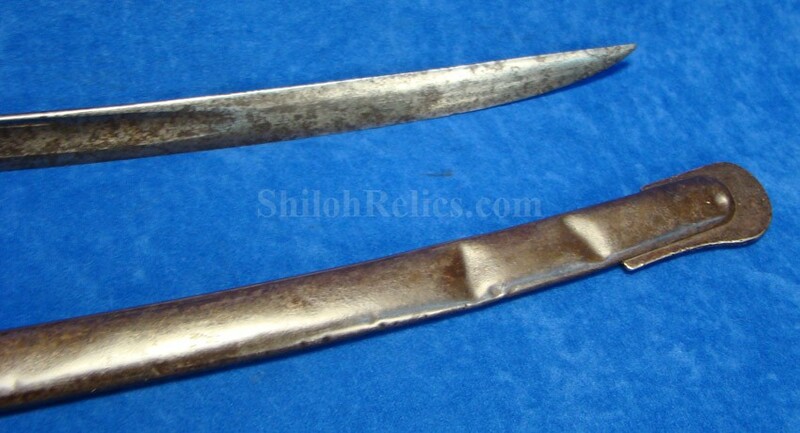 On the back of the blade you can still make out most of the maker’s mark of "EMERSON & SILVER” and "TRENTON,N.J.”. 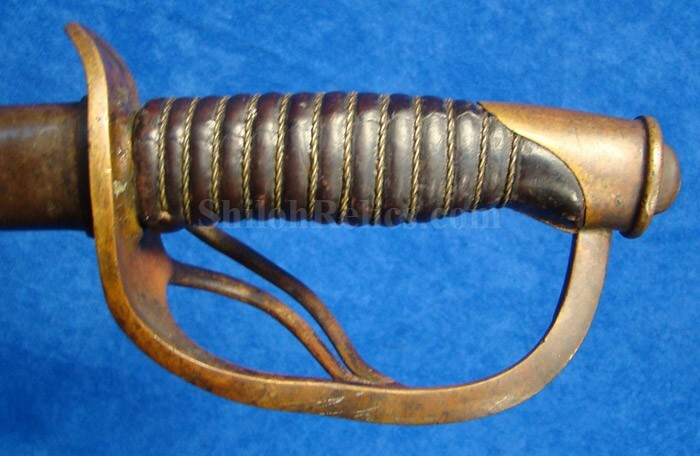 Emerson made many quality edged weapons during the American Civil War. 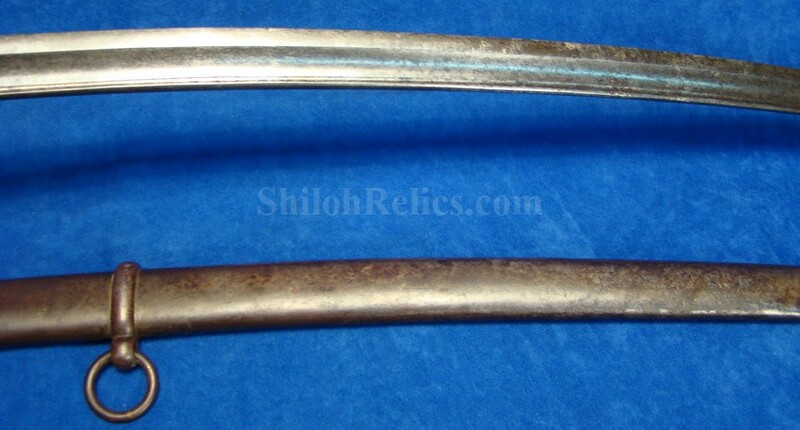 The blade is full-length with an attractive surface and a dove gray color. 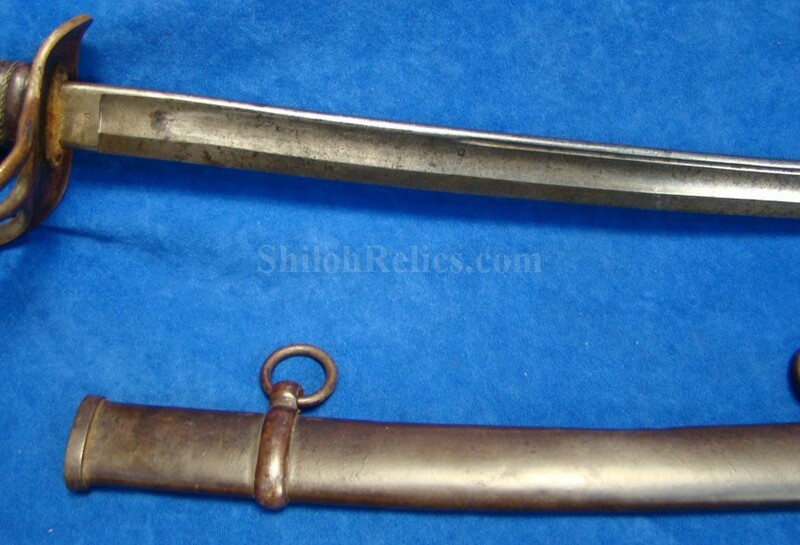 A nice original scabbard accompanies the sword. 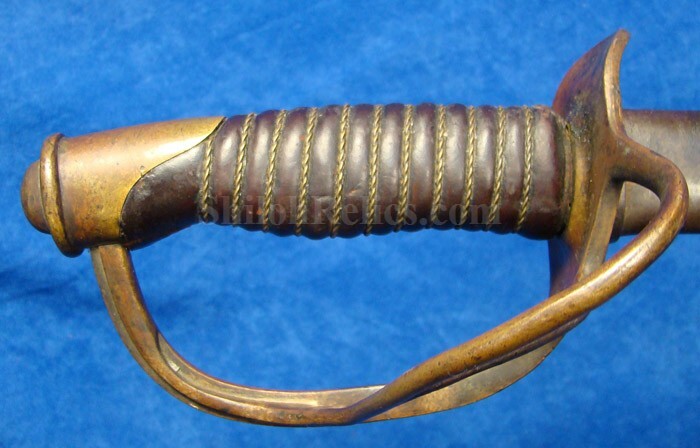 The scabbard has an attractive dark tone with light bumps and bruises from service. 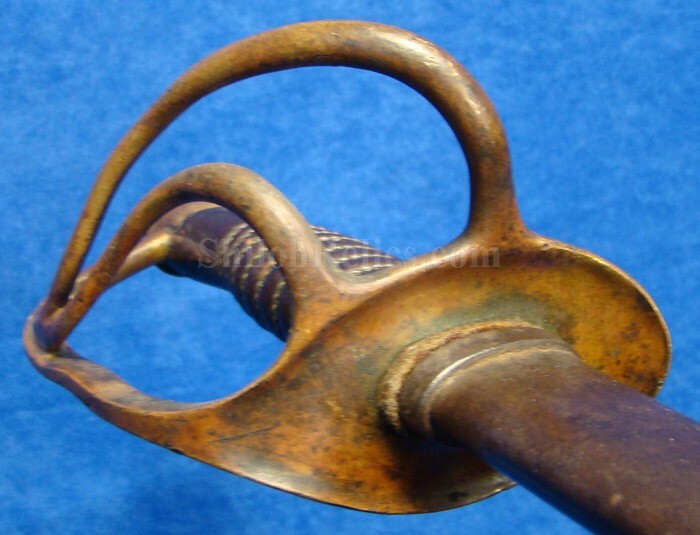 The guard and pommel cap have an rich tone to the brass. 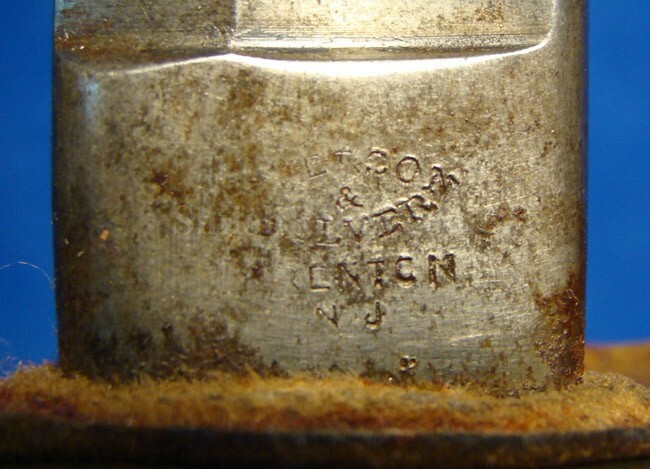 On the top of the pommel cap are the inspector initials of "JM”. 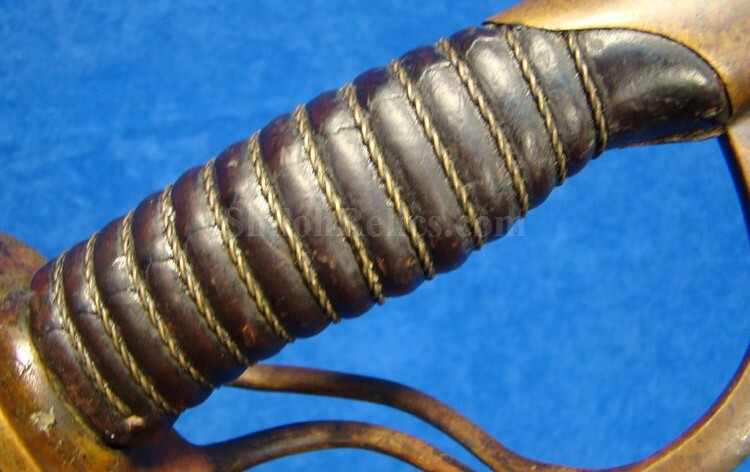 The original leather and wire are fully intact ont he handle with a beautiful look. 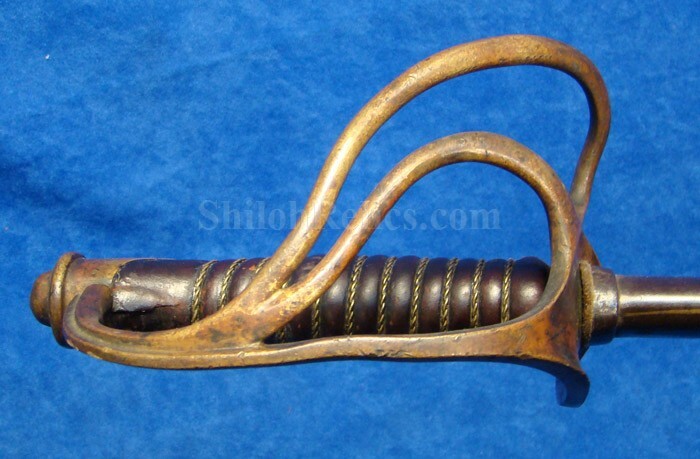 This is a very attractive sword for your Civil War display.